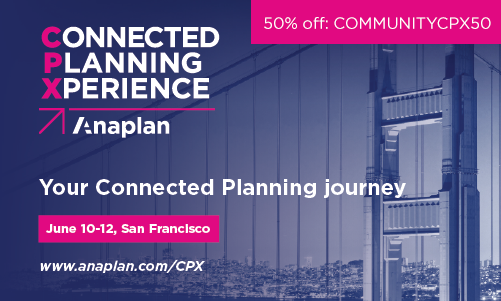 The purpose of this training is to bring end users up to speed with the Anaplan platform. It is not intended to be a dive into building models. Additionally please note that what is discussed in this training is general information and not specific to your Anaplan build. Also note attached to this article are some basic job aids covering the topics contained in the training. After completing this learning you will understand: Who Anaplan is What the Anaplan platform does What Anaplan means to your role and others within your company Basic Anaplan navigation and terms This class will take approximately 25-35 minutes to complete. Please note, if you have issues with the video in this course send an email to academy@anaplan.com. Not every corporate firewall is the same and we have some alternative methods for accessing the videos. Launch Course Enjoy the course? Have feedback? We value your opinion. Use the Kudo and Comments features below! Set Yourself Up for Success with Anaplan's Learning Center! Below is the learning path we recommend for most customers. How much do your courses cost? On-demand: All on-demand courses are available as part of your Anaplan subscription and do not require an additional cost except for the Model Builder Certification evaluation. On-site: On-site training offered at our offices is available and priced by course. This is subject to training discounts according to your partner agreement. 102: Introduction to Model Building (2 days): $1200 (£1,350, €1,350) Model Builder Certification evaluation: This evaluation is $500 (£235, €265) and is subject to training discounts. How can I register for on-site training? Please fill out the registration request available on the Anaplan Learning Center or contact acdemy@anaplan.com. How do I know when on-site training is offered? Please visit Academy Training Schedule to view our training calendar for dates and locations for all of our upcoming offerings. How do I schedule private training and what is the cost? Contact academy@anaplan.com for rates and availability. I am already a Solutions Architect. Do I need to go back and start over? Current Solutions Architects will be grandfathered in; however, you will still be subject to recertification requirements (dates TBD). As well, Anaplan reserves the right to request that you complete or repeat the coursework if your certification has lapsed or customer satisfaction survey results become unfavorable. Can I still complete the certification? Do I need to? All Anaplan partners are welcome to complete our certifications. This is a great opportunity for you to ensure that your skills are aligned with our best practices. However, we also want to recognize the skills and expertise of our partner community. If you feel that your experience is equivalent or greater to the requirements, please fill out the application available on the Anaplan Learning Center or contact academy@anaplan.com.